Visas for the Indian Passport - Be On The Road | Live your Travel Dream! The Indian Passport is one of the weaker passports of the world and if you have ever traveled or attempted to travel out of India, you will exactly know what I am saying. Lots of paperwork, pre-planned itineraries, bank authorizations, government authorizations, employer authorizations and so much red tape is what we need to clear to get one simple tourist visa. We may be facing this problem today due to misuse of the system by previous Indian immigrants to various countries or may be it is because, till very recently, we created a nightmare for foreign nationals to apply for a visa to India. Either way, it creates a lot of roadblocks for prospective international travelers from India. In my days of travels, I have faced rough visa situations many times and always struggled to find a good visa guide for us Indian citizens. 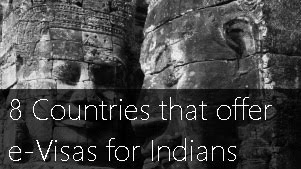 Thus, came about the idea to make a comprehensive visa guide for the Indian Passport. One that talks about getting visas from India, getting it from a third country, visa extensions, e-visas, visa on arrivals, visa free and much more. While, it is primarily aimed at the international tourist from India, even business travelers, workers and students can find some help in this guide. 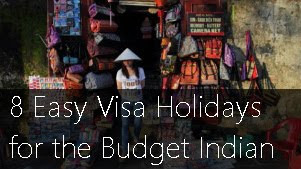 This guide is a work in progress and I will keep adding information to it as and when I travel and learn more about getting visas for more countries. In the interim, I hope it serves as a handy tool to help you ease your visa worries while you plan your next international trip. As this is an evolving article, do let me know if you have any feedback or suggestions and I would be happy to incorporate that into the article. 2) It is easier to get a new visa once you have more stamps on your passport, which may be provides credibility of you as a good traveler. 3) For some countries, you can apply for visas only from the home country, which is India in our case. 4) In my personal experience, I found Vientiane, the capital of Laos to be the easiest place to get visas. 5) If you have a valid USA, Schengen, Canada or other visas from first world countries, the visa process gets simplified for a new set of countries. 6) Buy a jumbo passport while applying or renewing for your passport. It always comes in handy. 7) If you have a valid visa on your old passport, don’t worry and just carry it along with your new passport. The existing visa on your old passport works on most cases. 8) If you are groomed well, are confident and speak good English, the visa process at most embassies/consulates become easier. 9) Most countries expect a passport with at least 6 months validity and 2 blank pages. 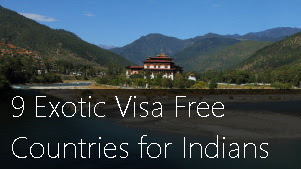 10) 23 countries and/or independent territories offer visa-free access to India. 11) 30 countries/independent territories offer visa on arrival facility to Indian nationals. Antarctica – This least populated continent does not need a visa. You can enter it from New Zealand, Argentina, Chile, South Africa or USA. Bhutan – This Himalayan kingdom is possibly the best perk of the Indian Passport. Where most other countries have to pay 250 US Dollars per day to visit this country, we Indians pay local prices. You get 7 days visa free (extendable at Thimphu) if you arrive overland or 1 month if you arrive by air. British Virgin Islands – Max stay of 30 days if holding a valid return ticket. Cook Islands – 31 day free entry if holding a valid return ticket. Dominica – Entry valid for 6 months if holding a valid return ticket and sufficient funds to cover stay. Ecuador – Max stay of 90 days if holding a valid return ticket. El Salvador – Max stay of 3 months if holding a valid return ticket and sufficient funds to cover stay. Fiji – Max stay of 4 months if holding a valid return ticket and sufficient funds to cover stay. Grenada – Max stay of 3 months if holding a valid return ticket. Haiti – Max stay of 3 months if holding a valid return ticket. Hong Kong – Stay of 14 days if holding a valid return ticket and sufficient funds to cover stay or valid hotel bookings. Jamaica – Max stay of 90 days if holding a valid return ticket and sufficient funds to cover stay. Macau – Stay of 30 days if holding a valid return ticket and sufficient funds to cover stay. Mauritius – Stay of 90 days (Max of 180 days in a calendar year) if holding a valid return ticket and sufficient funds (USD 100 per day) to cover stay. Micronesia – Max stay of 30 days if holding a valid return ticket and sufficient funds to cover stay. Montserrat – Max stay of 180 days if holding a valid return ticket and sufficient funds to cover stay. Nepal – Completely porous border. Don’t need even a passport. Voters ID card and Driving License will do. 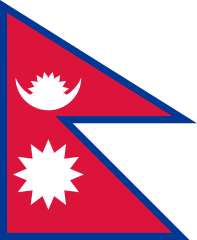 You can stay and work in Nepal for up to 6 months in a calendar year. Pitcairn Islands – 14 days stay if holding a valid return ticket and sufficient funds to cover stay. Reunion – 14 days stay if traveling through an approved Indian travel agency. Saint Kitts and Nevis – Max stay of 3 months if holding a valid return ticket and sufficient funds to cover stay. Saint Vincent and the Grenadines – Max stay of 30 days if holding a valid return ticket and sufficient funds to cover stay. Trinidad and Tobago – Max stay of 90 days if holding a valid return ticket and sufficient funds to cover stay. Vanuatu – Max stay of 30 days if holding a valid return ticket and sufficient funds to cover stay. Bolivia – Max stay of 90 days for USD 52 and 1 passport size photograph if holding a valid return ticket and sufficient funds to cover stay. Burundi – Visa on arrival is provided if you arrive by air at Bujumbura airport and hold a pre-approved entry authorization approved by Burundi immigration. Cambodia - At certain overland and all airports, visa on arrival is offered at USD 30. Also, ACMECS joint visas for Cambodia and Thailand are accepted too. e-visas are also possible and cost USD 37. Both l visas are single entry and are valid for 30 days. Cape Verde – Single entry visa on arrival offered for 25 Euros on arrival. Guinea-Bissau – Visa on arrival is given for a max stay of 90 days against a payment of 85 Euros. Guyana – Tourists can get visa on arrival for a max stay of 30 days against a payment of USD 25 if they produce a letter of invitation from the sponsor or host, contact details of sponsor, hotel or host and two passport photos. Indonesia – Fairly straightforward visa on arrival for a max stay of 30 days against a fee of USD 35. The tourist visa can be extended once. Jordan – For independent travelers, visa on arrival is sketchy, though on paper they say visa on arrival is given for a max stay for 14 days against a fee of 40 Jordanian Dollars if you hold a return ticket and USD 2000 (USD 1000 if you have paid for all your hotel accommodations). If traveling through a Jordanian tour operator, the visa is free of charge and there are no specific conditions. Kenya (till Sep 1, 2015) – Till Sep 1, 2015, you can get a visa on arrival when you fly into Nairobi. This visa allows you to stay in Kenya for a max of 90 days and you pay USD 50 for it. Laos – Visa on arrival is fairly easy and available at all important land and air border controls. This visa allows you to stay in Laos for 30 days and the fee is USD 30. Maldives – Indians get free visa on arrival into Maldives provided they are staying on a resort island or carrying USD 30 per day to cover their stay in Maldives. If you do not book a resort island package, you are limited to Male and nearabouts. Though, once you are there, you can connect with local hosts and get them to invite you to their island. It takes a day or two, but it is fairly straightforward. Madagascar – Indians get visa on arrival for free if they are visiting as a tourist and staying less than 30 days. If you stay longer, you pay for it. MGS 100,000 for 60 days and MGA 140,000 for 90 days. 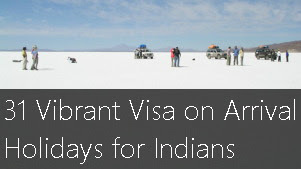 Mauritania – Indian visitors get free visa on arrival at the airport. Mozambique – Indians get visa on arrival for a max stay of 30 days against a fee of USD 66. However, be prepared to show proof of your stay and funds. Niue – Visa on arrival is given free of cost to Indians if they have valid return tickets and sufficient funds to cover stay. However, they charge NZ$34 as a departure tax while leaving. Saint Helena – Indians get visa on arrival for a max stay of 183 days against a payment of 17 GBP. Medical insurance is compulsory. Saint Lucia – Indian nationals can get a visa on arrival for a max stay of 6 weeks against a fee of USD 50. Samoa – Indians get free visa on arrival for a max stay of 60 days. Senegal – Indian citizens get a visa on arrival free of cost for 3 months if they fly into Dakar. Seychelles – Indians get free visa on arrival into Seychelles if they hold a valid return ticket, proof of accommodation and USD 150 per day of stay. Somalia – You can get a visa on arrival for Somalia if you pay a fee of USD 50 and provide an invitation letter from your sponsor that has been submitted to the airport immigration department at least 2 days before your arrival. This visa allows you to stay in Somalia for a max of 30 days and it can be renewed once. Tanzania – Indians get a visa on arrival that allows them to stay in Tanzania for a max of 90 days after they pay a fee of USD 50. 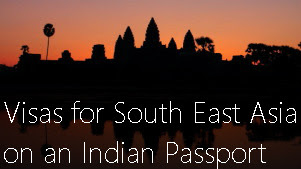 Thailand – Indians get visa on arrival into Thailand at all airports and most land and sea crossings. The visa is single entry, valid for 14 days and cannot be extended. Fee is 1000 Thai Baht. Timor Leste (East Timor) – Pay USD 30 and get your visa on arrival for 30 days. You can get this visa extended too. Togo – Indians get free visa on arrival for a max stay of 7 days if the hold a valid return ticket and 3 passport photos. Tuvalu – Indians get free visa on arrival for a max stay of 30 days. Uganda – Indians get visa on arrival for a max stay of 90 days against a fee of USD 50. You can also apply for a East Africa tourist visa in advance for USD 100 and get multiple entry for 90 days against a fee of USD 100. However, you can apply this only at the embassies of Kenya or Rwanda. Vietnam – Indians can get Vietnam visa on arrival if they fly into an international airport of Vietnam and show a pre-approved authorization letter from a Vietnam tourist agency. Then, you can get single or multiple entry visa for USD 45,/65/95. You can apply for a eVisa from the confines of your home to any of the below countries. Bahrain – You can apply for a eVisa with all necessary documentation. For a fee of 27 BD, you get a 3 month multiple entry visa. Each visit allows you to stay in Bahrain for a max of 15 days. Cambodia – You can get your eVisa for USD 37 and it allows you to stay in Cambodia for 30 days. Cote d’Ivoire – You can get your tourist eVisa for 70 Euros provided you are able to show hotel booking and sufficient money to cover your stay. But, with your eVisa, you can arrive only via the Port Bouet airport. Kenya – Till Sep 2015, you can get your visa on arrival at Kenya. However, after that, it is compulsorily an eVisa. The process is simple and it costs USD 51. Rwanda – You can apply for your eVisa by filling up a form and paying USD 50. This gives you a single entry visa for a max stay of 90 days. Sao Tomo and Principe – You can get your eVisa for USD 20 provided you show funds covering your stay. 100 Euros per day. Singapore – You can apply for your eVisa for 15 GBP. This gives you a multiple entry visa valid for one year with each visit allowing you to stay for 30 days. Sri Lanka – This is one easy eVisa that is referred to as the Electronic Travel Authorization. It costs USD 15 and once you have it, your passport gets stamped at the airport. Zambia – The Zambia eVisa is fairly easy too. You pay USD 50 for it (the money is collected when you arrive at the airport) and you can stay for a max of 90 days in a one year period. Zimbabwe – This eVisa can be got for USD 50 (payable at port of entry) if you provide your letter of invitation, proof of accommodation and some other documentation. Visa lets you stay in Zimbabwe for a max of 90 days. Albania – You get a visa on arrival for a max of 90 days if you hold a valid multiple entry visa to USA, UK or the Schengen territory. Andorra – You get a visa on arrival for 90 days if you hold a valid multiple entry Schengen visa. Antigua and Barbuda – Yout get visa on arrival for 30 days if you hold a valid visa for USA or Canada. Visa cost is USD 100. Belize – Indian nationals get visa on arrival for USD 50 if they hold a valid USA visa in their passport. However, Indians are expected to pay an obscene USD 600 as repatriation fee to be eligible for this visa. Bosnia and Herzegovnia – Indians get visa on arrival for a max of 7 days if they hold a multiple entry EU or Schengen visa. Croatia – You get a visa on arrival for 90 days if you hold a valid multiple entry Schengen visa. Dominican Republic – You get a visa on arrival for a max stay of 90 days if you hold a valid visa for USA, Canada or the Schengen territory. You can get this by buying a tourist card for USD 10.
gives you entry to Honduras, El Salvadar and Nicaragua too. Honduras – You get a visa on arrival for 90 days if you hold a valid USA, Canada or Schengen visa. USD 10 is the cost of the tourist card and it is valid for El Salvador, Guatemala and Nicaragua too. Ireland – Free entry allowed to valid UK visa holders. First port of entry should be the UK. Macedonia – You get a visa on arrival for 15 days if you hold a valid multiple entry Schengen visa. This visa is free of cost. Malaysia – If you have a valid Singapore or Thailand visa and if you are entering from either of these 2 countries, you can get a visa on arrival at any of its international airports for 7 days provided you show a return ticket and USD 1000 cash. Mexico – No visa is required for a stay of 180 days if you hold any valid USA visa. Montenegro – You get free entry for a max stay of 30 days if you hold a valid visa from USA, Schengen or the EU zone. Nicaragua – You get a visa on arrival for a max stay of 90 days if you hold a valid visa from USA, Canada or the Schengen zone. You get this on buying a tourist card for USD 10 and this allows you entry into El Salvador, Guatemala and Honduras. Panama – You get free entry if you hold a valid visa to USA, UK, Canada, Australia, Schengen and have used it at least once. Philippines – You get a free 14 day visa on arrival if you have a valid visa for USA, UK, Singapore, Australia, Japan, Canada or the Schengen territory. You can extend the visa, but only for 7 days and the extension is chargeable. Romania – Free visa on arrival for a max stay of 90 days if you hold a double or multiple entry Schengen visa. Serbia – Visa Free for a max stay of 90 days if you hold a valid multiple entry Schengen or US visa. South Korea – Visa free entry for a max stay of 30 days if you hold a valid visa to Australia, Canada, Japan, New Zealand or the USA and if you transiting to/from any of these countries. Turkey – You get a single entry visa for 30 days if you have a valid USA or Schengen visa in your passport. It costs USD 42. You can also apply for a e-visa. Last I heard, they will be stopping visa stamping at the immigration counters. It might be prudent to get a e-visa instead. UK – You get free entry for a Irish visa. Duration will be as long as mentioned in your Irish visa. The below country wise visa guides is based on my personal travel experiences. These could be visas applied in India or applied from a 3rd country, an e-visa, visa renewal and more. Note: The images of the country flags have been re-used from wikipedia.org under the creative commons license.